This wine tablecloth is the perfect gift for any lover of wine. The detailed map allows you to go on a journey of discovery to some of the world’s most famous winegrowing regions. 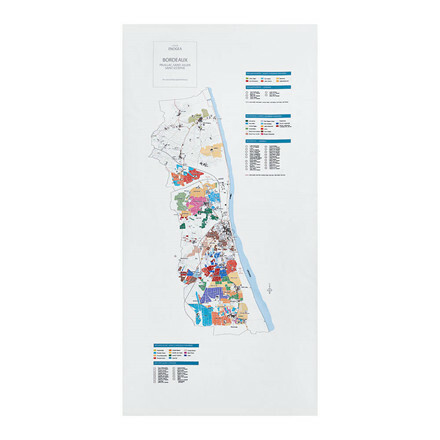 You can use the decorative map to learn more about your favourite wines and regions, which will provide plenty of input for conversations between lovers of wine, during wine tasting and dinners. You can easily find the exact château or vineyard from which the wine in your glass originates from and thereby learn more about its region and composition. 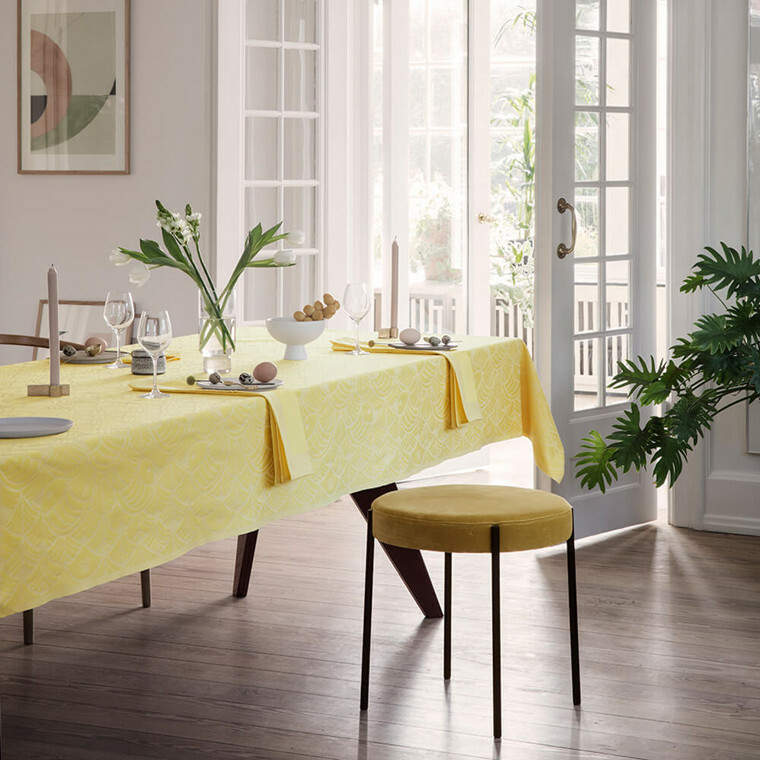 This tablecloth is for the wine lover who is enamoured by the great classic red wines from the vineyards on the left bank of the Gironde River in Bordeaux. This as a region that is home to some of the world’s most sought after wines, e.g. Lafite Rothchild, Mouton Rothchild and Lynch-Bages, to name but a few. The map was meticulously drawn by the renowned cartographer Alessandro Masnaghetti and contains all of the vineyards that are classified as 1, 2, 3, 4, 5 “Growth” châteaux under the famous Grand Cru classification of 1855 in this extraordinary part of the Bordeaux region. 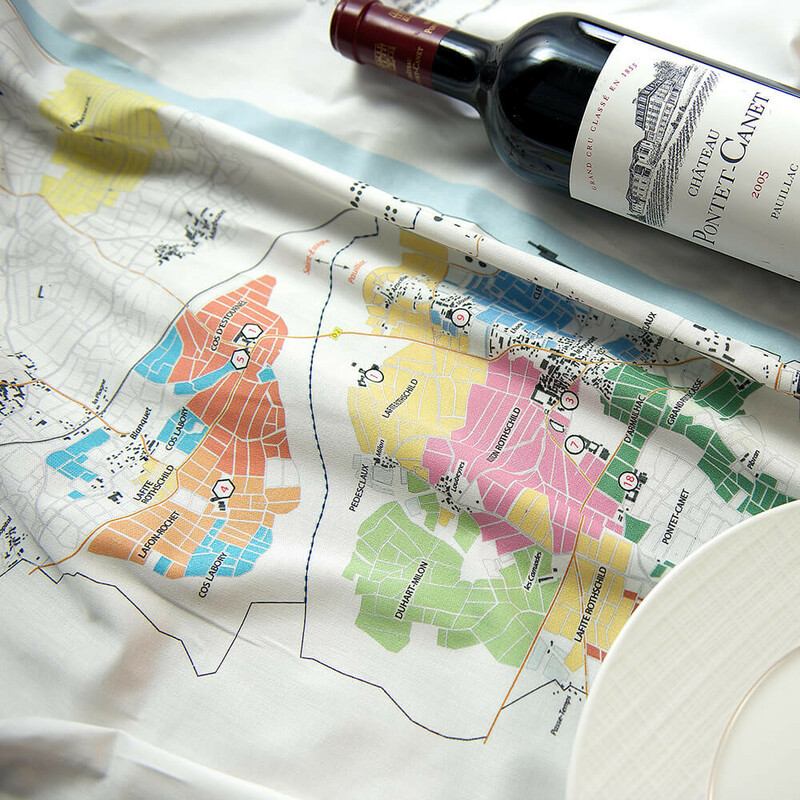 The colours on the map illustrate which vineyard belongs to which château and this is explained in the key to the signs on the tablecloth. The map has been designed and printed to fit the centre of the table so that the entire map is visible. The wine tablecloths were developed in collaboration with Marie Von Ahm, who is a wine expert and consultant for a large number of international wine brands. 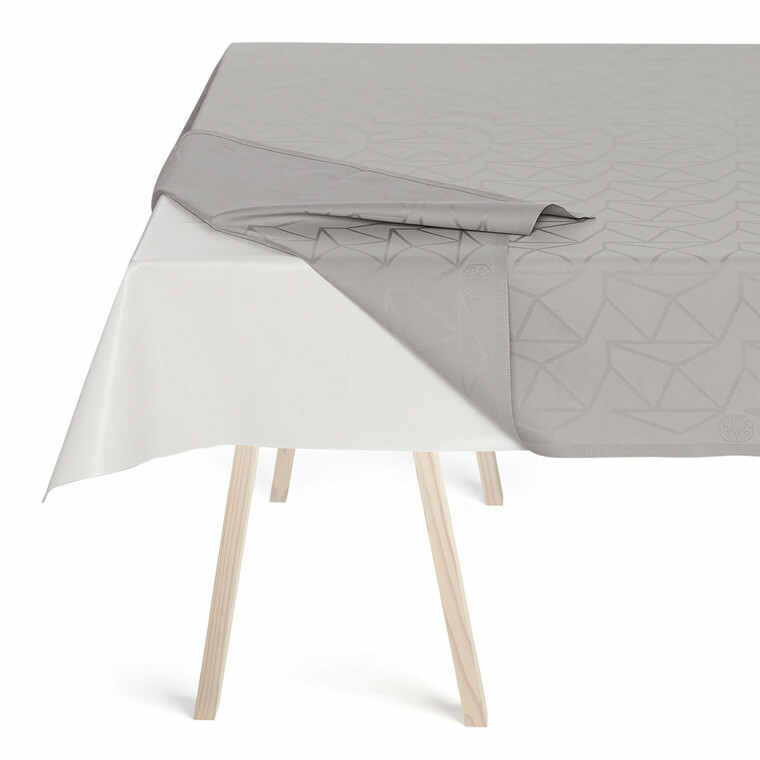 The tablecloth is jacquard woven in Egyptian cotton and subsequently digitally printed and surface treated to withstand dirt and liquids.